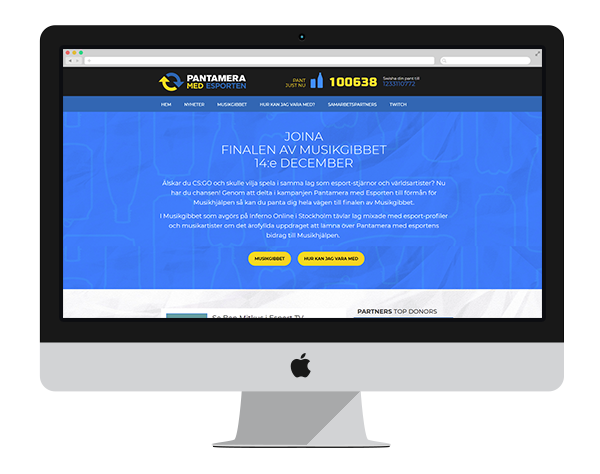 Pantamera has joined forces with the esports community for several years to run an annual tournament where the prize pool is raised solely by recycling cans and bottles at specified recycling points. We worked with Universal Music Group, who were in charge of this project, to produce and implement the design for the website. 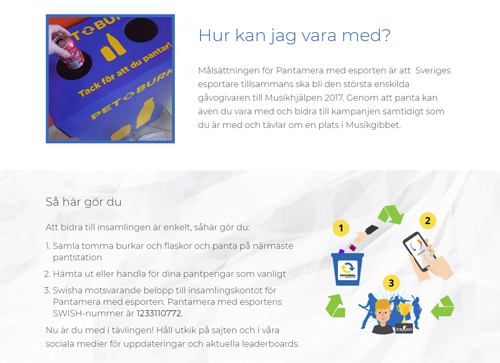 A top list was implemented where the top recyclers are shown. Since the people in the top list are identified by phone number by default, we also provided the option to send an SMS with a nickname to a phone number which would automatically display the top list entry by nickname instead.